We headed towards Barangay Ditucalan to visit NPC’s NaturePark. In this park we paid P35 for the entrance. We were transported by a coaster to the Botanical and Zoological Garden of the Park where a couple of ostritch, crocodiles and butterfly sanctuary are placed for visitors enjoyment and being in union with nature. Next, we waited for the coaster that took us to the famous twin falls of Ma. Cristina. I have witnessed the grandeur of this enormous falls before but it never fail to amaze me seeing it for the second time around. 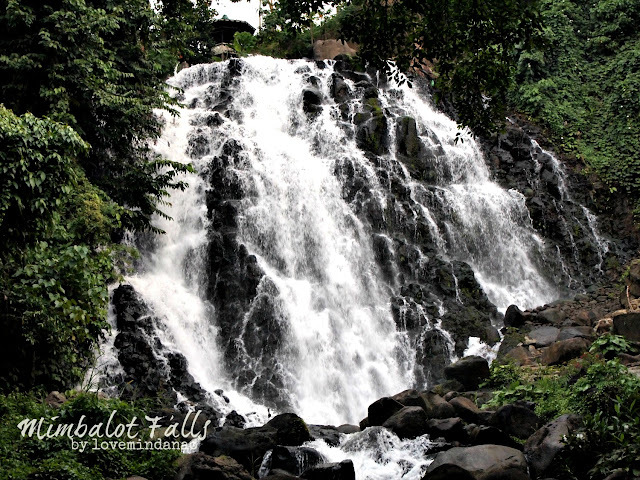 Our next stop was the Mimbalot Falls located at Brgy. Buru-un. 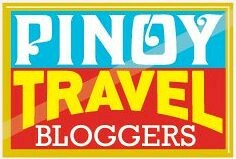 The travel going to Buru-un took us only a few minutes through a jeepney with a fare of P10.00. At the junction of the terminal, we have to walk for a few minutes leading to the site of the falls. The area is somehow, artificially developed into a “resort” which is a general turn off seeing the concrete barriers and structures that are not in synced with the natural ambiance of the place. I pity these waterfalls as it look very beautiful on its own but with the anthropological alterations intended for business just ruined the site. On the the next day we went to Brgy. Barinaut to see the great falls of Dodiongan. At the terminal of Barinaut, we rode into a habal habal up to the jump off point, then we took a 20 minute river trek towards Dodiongan. Seeing the falls for the first time left me breathless with its spectacular slender Japanese fan-shaped drop formation. 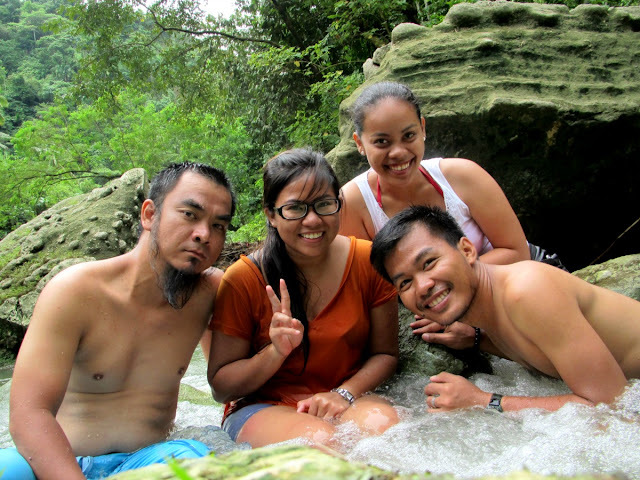 We immediately took a quick dip to cool our body down from the “long” and tiring river trek. I like the drop of these falls and I find this much better than the Mimbalot as no other man-made structures are standing except for the small nipa hut on the right side of the falls. 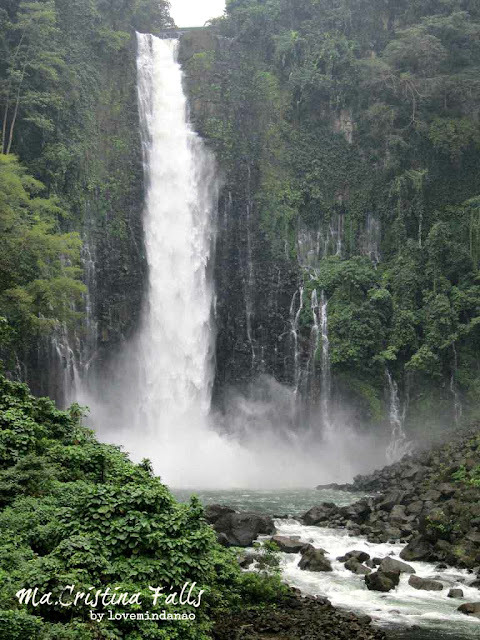 We spent only an hour around the falls as we were all excited to see the ever famous Tinago Falls. 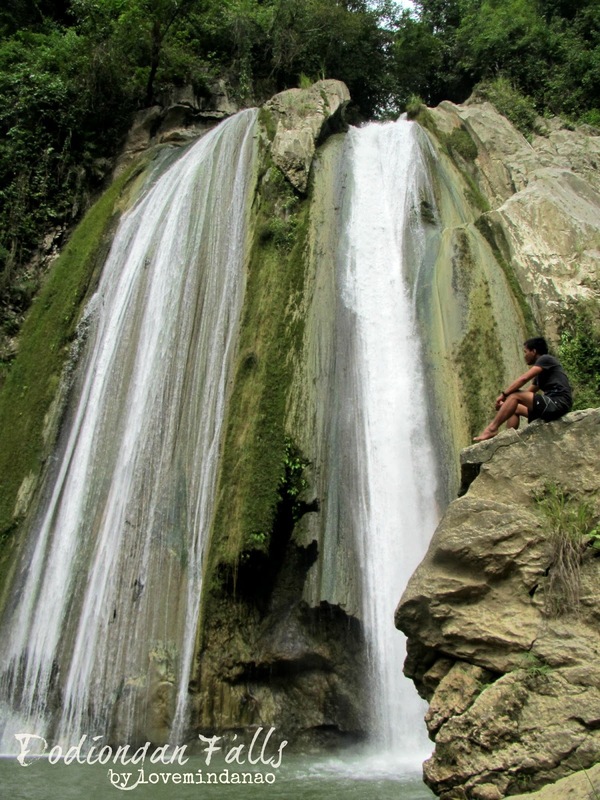 We went back to Ditucalan via a jeepney and a habal habal up to the jump-off point in a community where the majestic falls hide. We endured the 350 steep spiral staircase going down (of course going up too), and somehow I lost counting the number of steps that I was hoping I could put into a personal goal , but as I grasped for my breath , little by little I lost my eagerness to count anymore. But I never did regret missing the number of steps upon seeing again the falls that amazed me on the very first time. 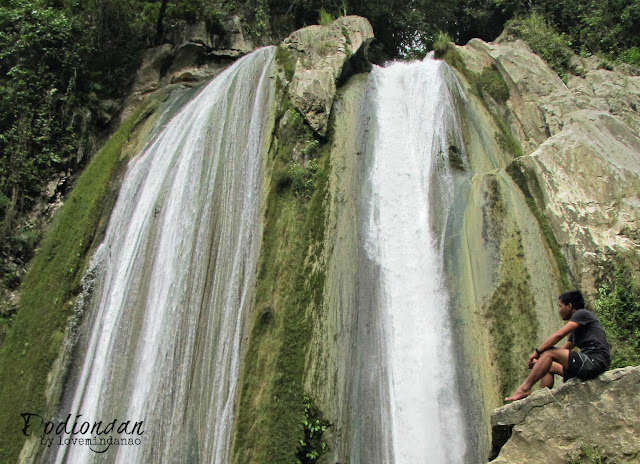 Tinago's beauty is second to Tinuy-an Falls of Bislig City. The cascading blue water on the pool was so inviting but the water was just so cold that made my feet immediately retracted the moment I touched the water. But how can I resist such beauty so, 1, 2, 3 jump! After getting exhausted,.we had lechon for our lunch for that day and durian and marang as dessert. The temperature in the vicinity was colder than the last time I visited the place. 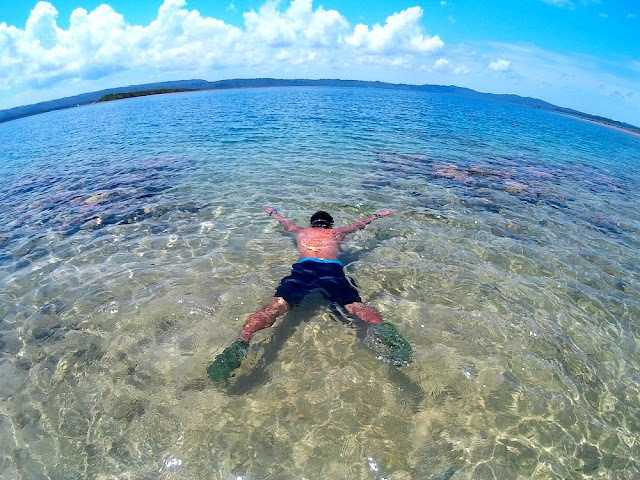 I could hardly move and swim into the water. We decided to go under the falls through a bamboo raft and it was way even colder under its drop. I can’t get closer as I felt already frozen and getting frail by the strong current of the falls. I did enjoy Tinago Falls even more when we put our diving skills into the test at the rocky side of the pool. Jumping for the first time will give you a crack on your nerve but after the first try, we were left hanging for more adrenalin rush! hahaha , even Marky , Lauren and Lai did the same and the fun was never ending. 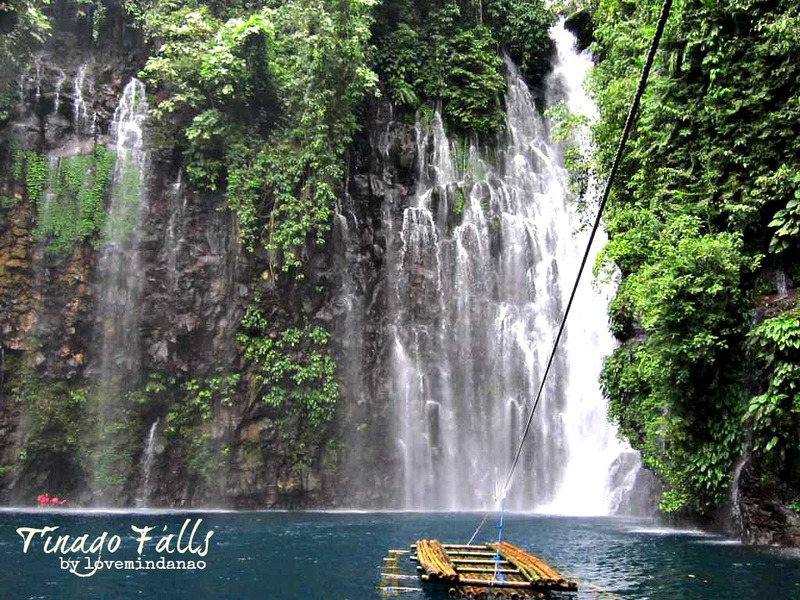 I will always consider Tinago as the most beautiful falls I have ever seen so far.